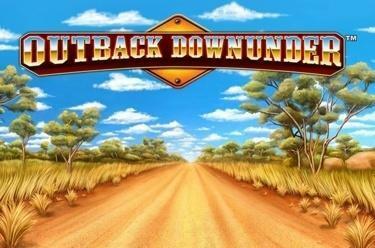 Play Outback Downunder™ online for free now! Turn into an explorer with Outback Downunder™ and rake in adventurous winnings with Opals, Lizards and Crocodiles. Continent, Kangaroo and Opal are your most precious companions in this slot! The aim in Outback Downunder™ is to land 5 identical symbols on one of the 243 winning paths running from left to right. If the Scatter symbol, the Opal, appears 3 times on reels 1, 3 and 5 you earn 10 free games. 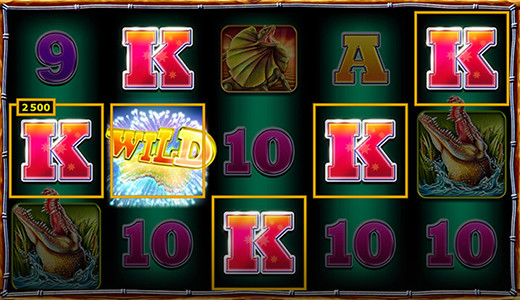 Moreover, during free games the Wild symbol multiplies your winnings two-, three- or fivefold if it's part of a winning combo. If the Kangaroo lands on reels 1 and 2 you win a re-spin. The Wild symbol Continent substitutes for all symbols except for the Scatters. Re-Spin on reel 3: A Re-Spin on reel 3 can double or triple your win. If you earn a multiplier, another re-spin is triggered on reel 4. Re-spin on reel 4: With this re-spin you have the opportunity to triple or quintuple your current win and grab another re-spin on reel 5. Re-spin on reel 5: As soon as you earn a re-spin on reel 5 your current win can increase 10- or 15-fold. In Outback Downunder™ you turn into an explorer! Become part of the Australian Outback, spot opals, crocodiles and marvel at the vast expanse of this fascinating part of the world. If the Kangaroo crosses your path, you rake in Twists because it turns your reel expedition into a proper winning streak with re-spins!